The official companion to the Masterpiece presentation on PBS, Victoria delves into the private writings of the young Queen Victoria, painting a vivid picture of the personal life of one of England’s greatest monarchs. From the producers of Poldark and Endeavour, ITV’s Victoria follows the early years of the young queen’s reign, based closely on Victoria’s own letters and journals. Now explore this extensive collection in greater depth, and discover who Victoria really was behind her upright public persona. At only eighteen years old, Victoria ascended the throne as a rebellious teenager and gradually grew to become one of the most memorable, unshakeable and powerful women in history. The extensive writings she left behind document this personal journey and show how she triumphed over scandal and corruption. Written by author and Victoria historical consultant, Helen Rappaport, and including a foreword by Daisy Goodwin—acclaimed novelist and scriptwriter of the series—Victoria details the history behind the show. Revealing Victoria’s own thoughts about the love interests, family dramas and court scandals during her early reign, it also delves into the running of the royal household, the upstairs-downstairs relationships, and what it was like to live in Victorian England. Full of beautiful photography from the series and genuine imagery from the era, Victoria takes you behind the palace doors and discover the girl behind the queen. The season finale of Victoria was less than a week ago, and I'm already missing it. 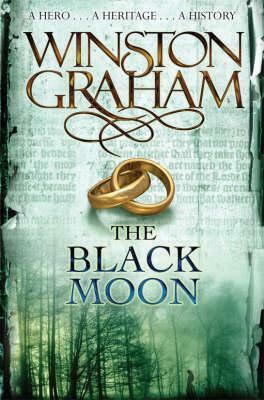 From the actors, to the story line, to the beautiful scenery I was completely absorbed in this series. I was fortunate enough to obtain a copy of Victoria: The Heart and Mind of a Young Queen for review. 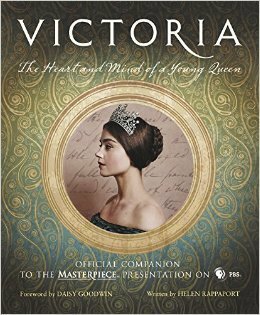 This book is the official companion to the Masterpiece Presentation of Victoria, and it's a must have for fans. Victoria: The Heart and Mind of a Young Queen begins with a forward from writer/producer Daisy Goodwin. She goes into detail about how she was hit with a bolt of inspiration after an argument with her teenage daughter. The book also gives more in depth details of the life of Queen Victoria. What I like most about this book is the closer look at the characters I've been watching over the last few months--separating fact from fiction. Not to mention the beautiful photographs taken of the cast as they performed, and there's a few behind-the-scenes pictures as well. I enjoyed this book from cover to cover. Learning more about this sovereign has increased my enjoyment of this series and the hard work that went into making it. I'm so grateful to Daisy Goodwin for her genius in writing this series and Helen Rappaport for giving us a closer look at the young queen. I can't wait for season two!